Fannie Mae is ordering all its foreclosures be boarded up with clearboard rather than unsightly plywood. It's not hard to spot an abandoned home from the unkempt lawns, broken windows, and other signs of deterioration. Homeowners often choose to abandon their homes as soon as they are notified of foreclosure, leaving them in the hands of lenders who hold the mortgages to either keep up with maintenance or walk away altogether. The problem with the latter is that a myriad of issues can arise, including vandalism, crime, and blight that spreads across the community. 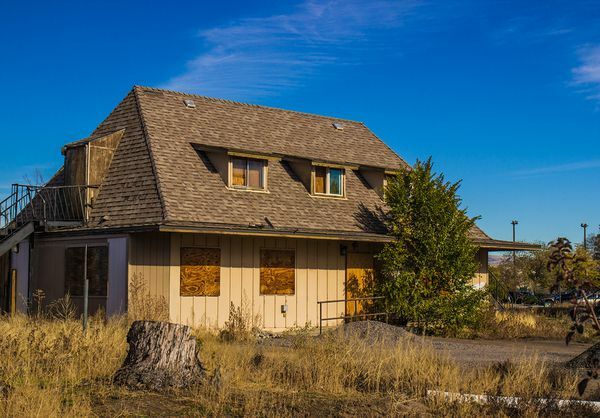 Abandoned foreclosures are not an uncommon concept in the U.S., as the cost of maintaining and repairing these "zombie houses" can be astronomical, especially when factoring in taxes and utilities. Then, of course, there is the need to rehab these properties and get them prepped for the market to be listed and sold once the foreclosure process has been completed. Combined, these costs can be through the roof, tempting banks to simply walk away from these vacant homes altogether before the foreclosure process ever reaches the end of the tunnel. One of the most obvious signs of a foreclosed, abandoned home is boarded up windows and doors. In most cases, cheap plywood is nailed to the window and door openings to 'prevent' entry. Not only is this an eyesore, it's also an informal invitation to ravaging and destruction, which all contribute to the decline in value of surrounding properties and the overall neighborhood. As such, the use of plywood as a means to secure an abandoned property has been recently coming under fire as a result of the spread of blight among communities across the country in the years following the 2008 housing crisis. In late 2016, Fannie Mae announced at the National Property Preservation Conference (NPPC) changes in the way its pre-foreclosures are to be maintained. Polycarbonate clearboard is now being promoted to be used in place of plywood on foreclosures. The shift was made in an effort to significantly reduce the incidence of blight across communities as a result of homes that have been abandoned following the initiation of foreclosure. Certainly, clearboard looks much better than rickety plywood over windows and doors, but it's also three times the price, adding to the mounting costs associated with maintaining these properties. As a result, many servicers and vendors have been slow to adopt this material. 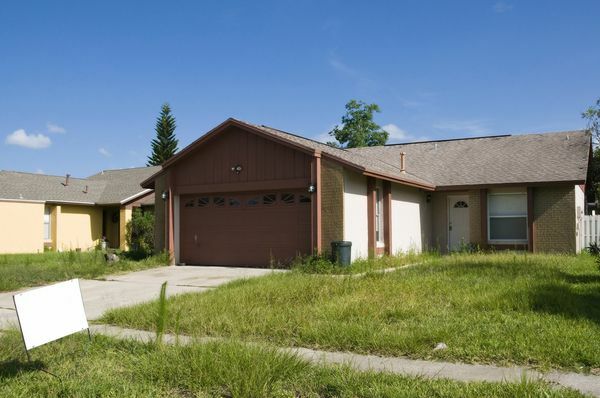 The high costs associated with maintaining zombie homes has prompted many lenders to abandon these foreclosures altogether. However, proponents of the mandate argue that clearboard is actually a lower-cost solution over the long haul, as it has a much longer lifespan compared to plywood and can last all the way through to REO. And the issues that arise from the use of plywood bring on additional costs on top of the cost of the materials that aren't necessary with clearboard. Still, the challenges that banks face as a result of mortgage delinquencies and zombie property management continue to be a pit on the balance sheet. In addition to rehabilitating a zombie home and listing and selling it quickly to get it off the books, banks should also be prudent when it comes to selling mortgages that are close to default in order to avoid having to deal with zombie properties in the first place. By selling off risky, profit-draining loans in favor of acquiring more lucrative assets, banks can essentially ward off risk and boost their bottom line.